It's the middle of February. For me, after the slow month of January, the year seems to start going by so quickly. Are you still in hot pursuit of your goals? Are you beginning to cross items off your bucket list? If the initial hype of making new years resolutions and creating bucket lists is wearing off or you haven't written down any goals in a while, here are four reasons why you need to. Here are four reasons why you need to be intentional about your life. 1. You will stop giving in to excuses. You will stop blaming your circumstances, others, society and the government for that issue or problem. Think of the last time you gave an excuse, or the one area where you're still giving excuses and placing blame. Could it be you have not been intentional in that area? 2. You will actually get something done. You will actually accomplish something. You will become better. You will finally get results. What you write down has a way of making you accountable and helps you take action. 3. You will become aware of opportunities and they will stop passing you by. Once you are intentional about something, the resources to get it done will start showing up. Not because they weren't there before but because you are now aware. 4. You actually get to fix a problem before it happens. You become more proactive. You will stop living in reactive mode. 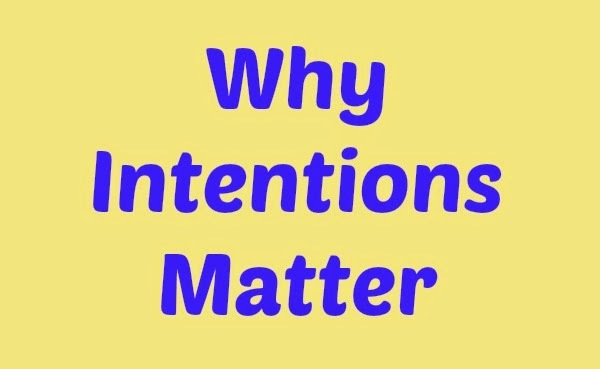 I challenge you to be intentional about your life, business, relationships, spiritual life, career, family....whatever you value, and see what a difference it makes. I am sure you want to grow, reach your God given potential, and ultimately become significant and be of value to the world. That is what success is all about. But you have to start by being intentional. If you missed the 7 Reasons why You are Still Stuck Webinar, request a replay here and I will send it over. Intentional living is so important to me, while I admit I often fall short on this. I think you will also live a more fulfilled life and be more aware of what's around you. Thanks for sharing!